Every second you interact with your digital devices, you create data. What you’re clicking, liking, sharing, and posting masks a wealth of information about you and your habits that companies and marketing firms would love to know so that they can better target you. 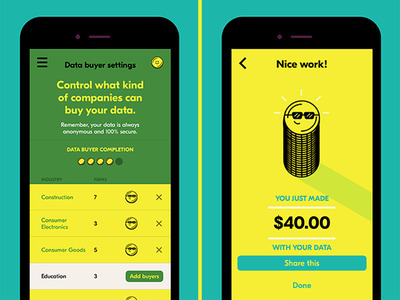 The unusual service takes the “if you can’t beat ’em, join ’em” attitude to data-snooping. The multibillion-dollar data brokerage industry operates largely in the shadows, culling information using everything from registration records at the DMV to Facebook pages — and pretty much anything that resides in the public domain. It’s all a little bit creepy. 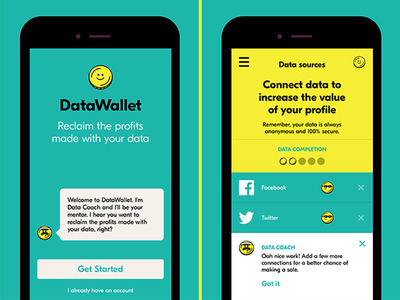 “The only way to make sure we are empowered in the process is by bringing something to market that is better,” founder and CEO of DataWallet, Serafin Lion Engel, tells Tech Insider. The set-up process begins with deciding what data you want to share. Members can give access to their Facebook, Twitter, Instagram, and Pinterest accounts, and fine-tune the settings for each if they don’t, for example, want to include their hometown or work history. The service is only worthwhile for consumers if they’re making money on it (which requires lots of buyers), but the buyers will only purchase reports if the service attracts a massive user base. It’s a classic chicken-versus-egg conundrum, though Engel insists buyers will be attracted to the depth of DataWallet’s data. Typically, these firms have access to public data, which users can control in settings. 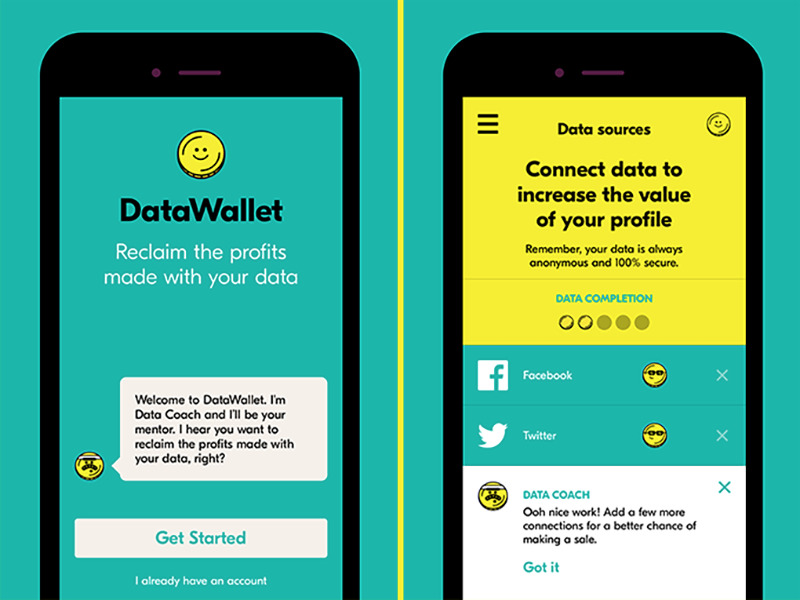 DataWallet unlocks new, more interesting information, such as what users are talking about online, when they’re online, and what they care about. “It’s an unprecedented way for you to understand your consumers,” Engel says. More than 20,000 people have joined the waitlist for the app, which launched on Apple’s App Store on June 10. DataWallet has a long way to go before it can make any promises regarding security. It currently uses “state-of-the-art encryption” to protect users’ data, according to Engel, and is working to implement more advanced measures. Of course, opting in to share your data doesn’t prevent other data brokers from also taking it. Engel hopes the company’s intimate relationships with users provides a competitive advantage over other data brokers, so they might one day be forced to cooperate with users in order to stay in business. It’s all about baby steps.